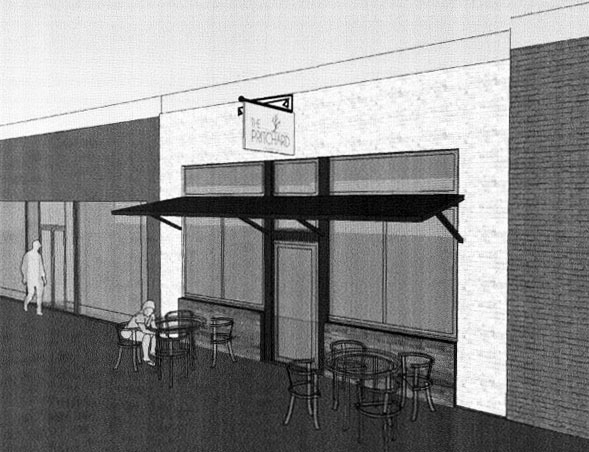 Plans have been unveiled for The Pritchard, a new wine bar and restaurant in the Plaza District. 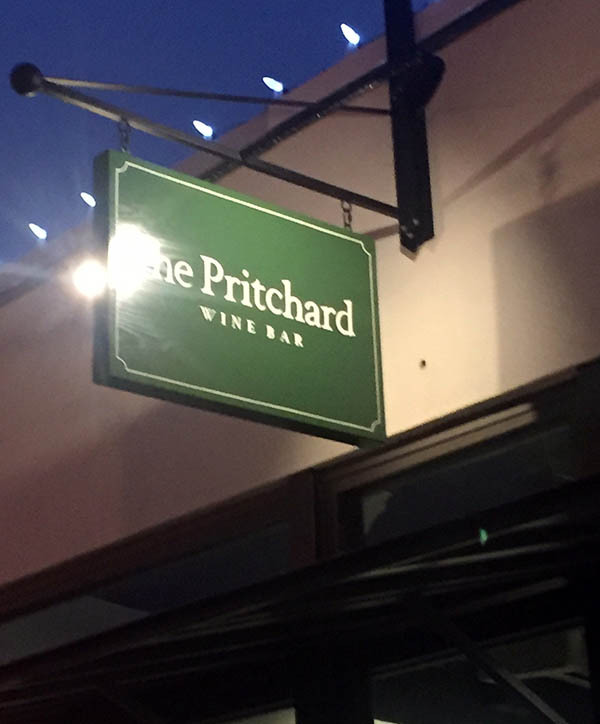 The Pritchard will take the space formerly occupied by Urban Wineworks which recently closed. 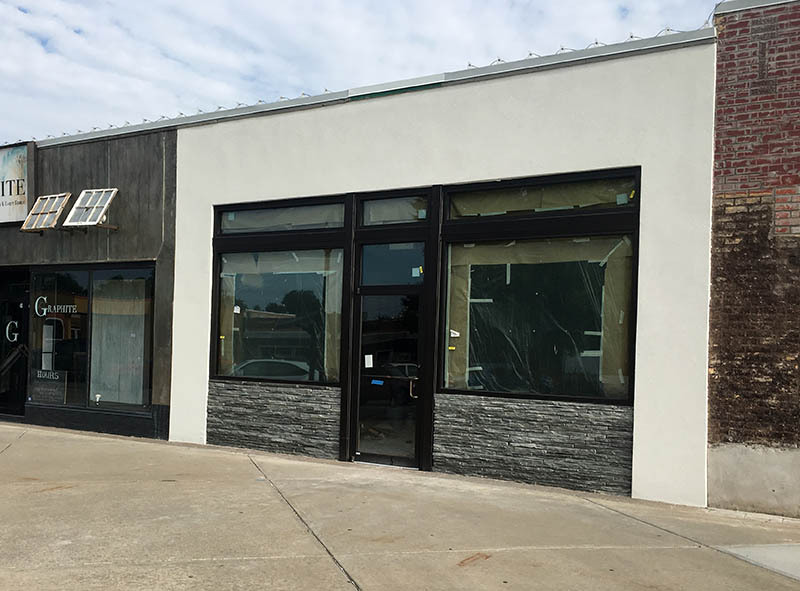 The new operation is a collaboration by Steve Mason and Aimee Ahpeatone – who recently bought and renovated the building where The Pritchard will be located – and J. Mays of Cafe 7. A large variety of wine by the glass will be offered, along with small plate dishes. The Pritchard hopes to open this summer and will join other Plaza hot spots like Empire Slice House, The Mule, Saints, Oak & Ore, and the soon to open Goro Ramen. J Mays knows his wine. I suspect it will be the best Wine Bar in OKC going away. One of the main positives for UW was that they could sell bottles of wine on Sunday and it was one of the few places in the city that could do that. Do you know if The Pritchard will do the same thing? I don't think they can. UW could because they were the winery. You can still get bottles on Sunday at Waters edge winery on broadway however. Warren, any restaurant can sell you a bottle of wine on Sunday. They have to sell it at the same price they normally do, and they have to open it and pour at least 1 ounce. They can then recork it and send you on your way. In reality, unless there are authorities around, they wouldn't even have to open it, but most probably would just to operate under the letter of the law. The former Beverage Director for The George will be involved with this project. She knows her stuff and will really help this be a wonderful establishment. And with a much stronger ownership/management, I'm sure this place is going to be freaking amazing. I will be most interested to see how they market this place, because The Plaza has never really been a high-end district, but wine and cocktails tend to require that type of clientele because there is almost a barrier to entry. You can get full and have nice beer at Empire/The Mule for relatively cheap ($15-$20/person) A nice appetizer and cocktails/wine can set an individual back $50 without even having gone crazy. This is opening October 14th. The General Manager is Mindy Magers (formerly of The George and Flint) and I imagine will be curating the wine list. She has an exceptional palette and is incredibly knowledgable about the subject. Both have spent time in major markets (Sieg in NYC and Magers in Los Angeles) working for some impressive names. Those who enjoyed The George in its short stint, both Sieg and Magers were major components in the development of the concept and were the last managers to leave the restaurant (and really the only reason the concept was able to last as long as it did). Along with an incredible ownership group, this concept has the strong base that it needs to be a major addition to the Oklahoma City dining scene and something that is sorely lacking. 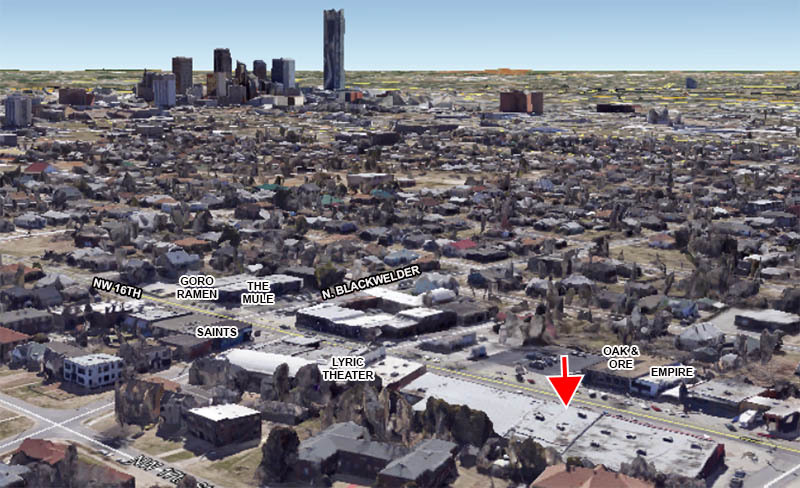 OKLAHOMA CITY – About 12 years ago, Aimee Ahpeatone and a friend were walking near The Plaza District. 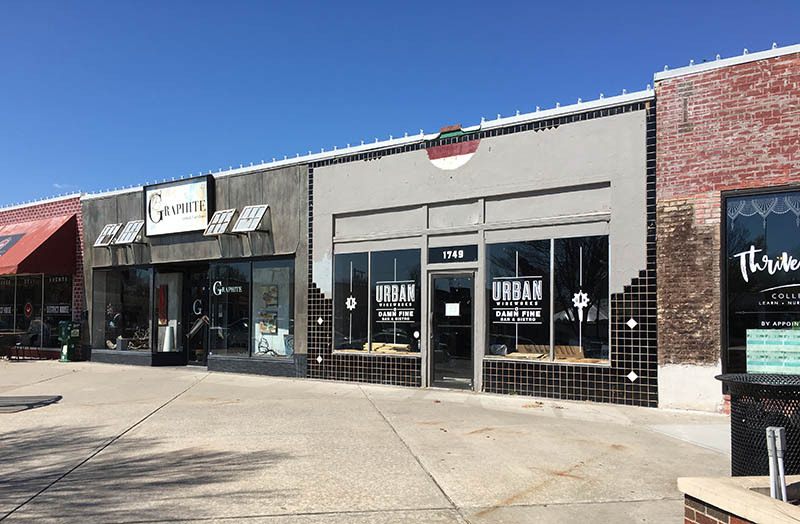 A Mexican restaurant filled the space at 1749 NW 16th St., but Ahpeatone was fascinated with it. She tried to find the building owner so she could buy it and put in an eatery. That didn’t transpire, so she pursued other ventures, including helping to clean up the district. 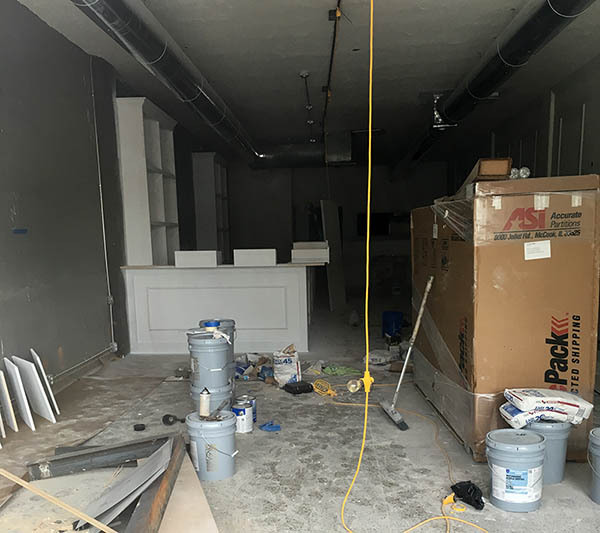 On Friday, Ahpeatone and partners Steve Mason and Jolyn Bauer are opening The Pritchard Wine Bar, 1749 NW 16th St. Ahpeatone said it’s surreal to her that the space is where she’s opening her first restaurant. 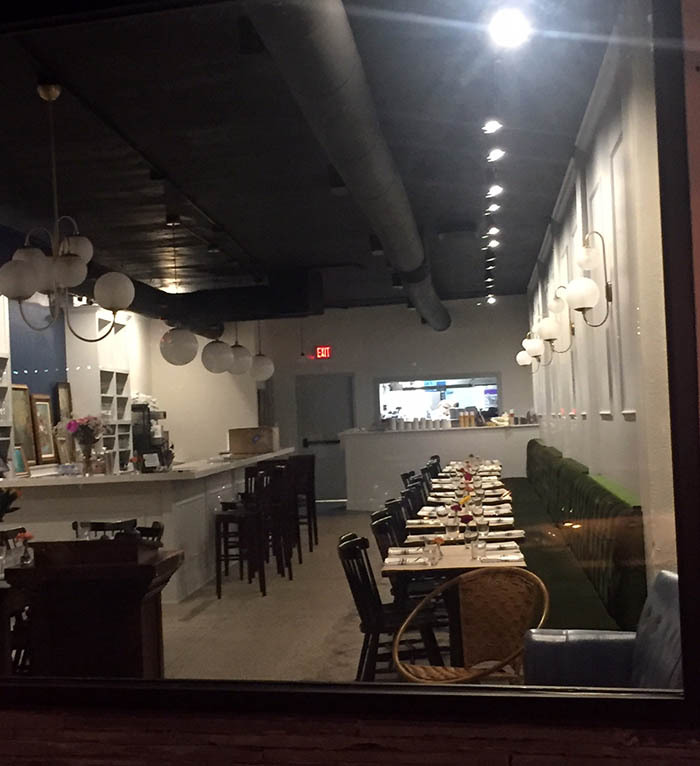 The space was previously Urban Wine Works, which closed in 2015. 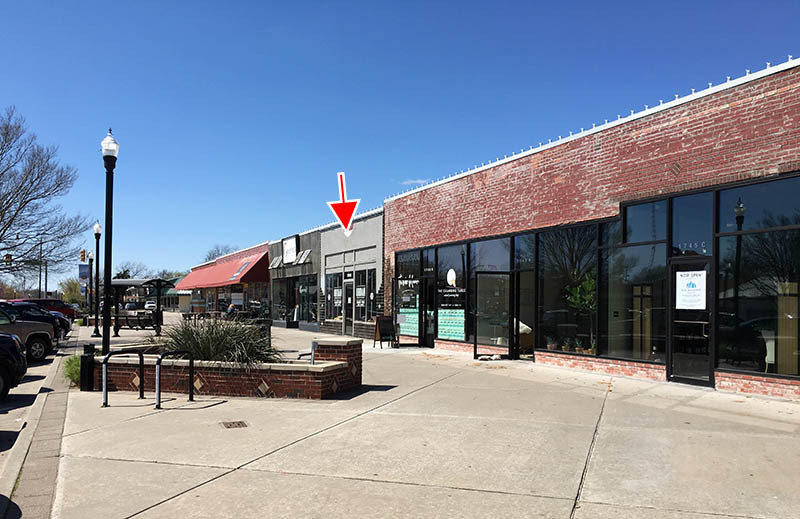 Construction started on The Pritchard in December, shortly after Mason and Ahpeatone finished redeveloping the old Plaza Discount Store into five storefronts and four alleyway entrances. Sweet Sixteenth LLC partners didn’t want to bring in a restaurant to those spaces because they wanted to generate retail sales tax. The restaurant features wines from small, family-owned wineries. There are 144 bottled wines on the list, 24 by-the-glass options, six wines on tap, cocktails, and some beers. “We didn’t want to compete with the other bars that offer beer in the neighborhood,” said Ahpeatone. The food menu is all small-plate options, served as it is ready. Former Belle Kitchen executive pastry chef Shelby Sieg is making her debut as head chef. She previously worked at The George steakhouse as well. Ahpeatone and her partners wanted someone who could prepare a clean, ingredient-driven menu, and Sieg said she gravitates toward that style. Menu options include a cheese and charcuterie board, house-made pickles, and a pheasant pate. Sieg said she is working with local farmers to have fresh, seasonal options on the menu as well. She said the olive oil cake was a hit when the menu was being created. Plaza District Executive Director Cayla Lewis said the menu has unique items, and highly recommended the Brussels sprouts. She said Ahpeatone and her partners didn’t neglect the district’s personality. Ahpeatone said she and her partners want people to feel at home in The Pritchard. The Windsor-back chairs are something people probably had at their family kitchen table. A painting by former Plaza District Director Kristen Vails hangs on the wall. Windmill blades hang on another wall, contributed by Mason, whose family has a windmill museum in Shattuck. “We want people to sit and drink wine in a very casual way,” she said. I walked by, took and few pics and sent them to Pete last night on my way to Rocky Horror at Lyric. Looks like a great space and definitely a better use of the space than what was in there prior. Beautiful space. Food was wonderful as well. 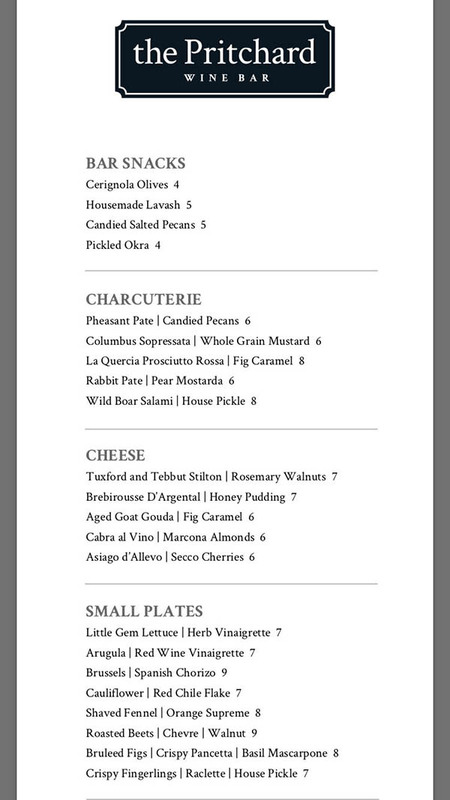 Cheeses, lighter small plates and heavier small plates. 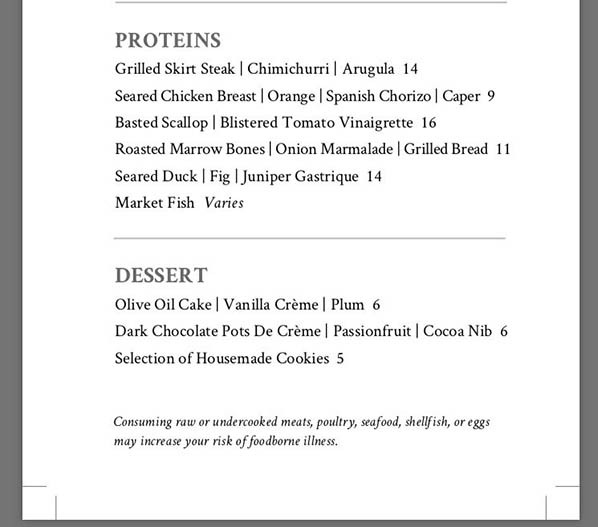 Short dessert list, but what we ate (olive oil cake) was phenomenal. This will be a really, really nice addition to the Plaza. Also had the olive oil cake. Yum. I liked Urban Wineworks, but this place definitely feels classier. We stopped in to grab a glass of wine Saturday night, and this place is beautiful. They kept it really simple (in a good way). We walked across the street to eat, but I am looking forward to coming back and trying the interesting options on the menu. Has anyone seen their tapas or food menu? Has it been posted online or at their website? Thanks! Also had some Ludivineish offers for the more adventurous... pheasant and rabbit pate. My wife and I decided to check this place out on Friday night for dinner and drinks. We had a reservation but it wasn't really necessary since there were several open tables. The remodel definitely makes the place seem more classy than its former tenant. We started with a bottle of wine, the prosciutto and the Brebirouse D’Argental. All were delicious. My only complaint is that there were only two small pieces of toasted bread (crostini?) with each plate. We did order more for $3.00. Not a big deal but next time we'll order extra up front. My wife ordered the chicken. I chose the duck and we ordered a side of the brussels. Each dish came out independently as the chef prepared them. It was all very good. Just to note the plating seems to be intended for sharing. As we were getting our check some friends came in so we decided to move to the bar. The bartenders were great and we really enjoyed the rest of the evening. We will surely be back soon! Thanks for the detailed review and welcome to the site! Walked by this place last night and it was packed! Any reviews or news? Heard nothing but good to excellent things and it's on my list to try soon.